We love avocado toast in the morning, at lunch, in the afternoon, for a late evening snack or appetizer. You can never go wrong with this tasty and simple snack idea. 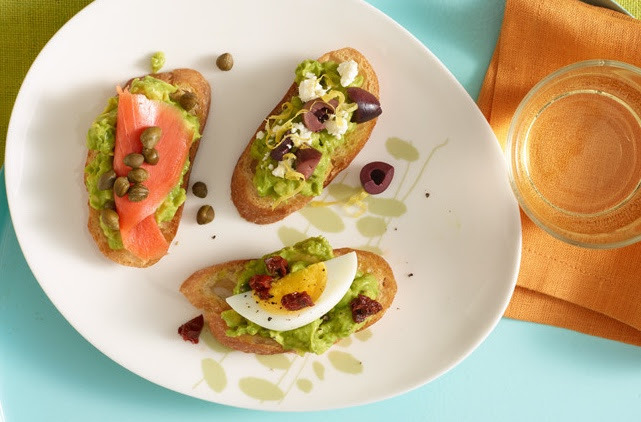 As perfect as we think avocado toast is, why not elevate it by adding wholesome Mediterranean ingredients like from our all-natural line of olives, peppers, artichoke hearts, capers and sun-dried tomatoes? This “toast with a twist” is light enough for spring and summer gatherings but hearty enough to satisfy any appetite. Get creative and prepare one topping or all of them for a vivid and tasty sampler! Preheat oven to 350°. Slice baguette diagonally into sixteen ½-inch slices. Brush both sides with the olive oil. Transfer to a baking sheet and bake until golden, about 8 minutes. Halve avocado lengthwise and remove pit; scoop flesh into a small bowl. Add lemon juice, salt and pepper and mash to a chunky paste. Spread on toasted bread. Top with your preferred topping (or all of them!) along with a dash of coarse salt. When was the last time you enjoyed a really good tuna salad sandwich? Like a really, incredible, gourmet tuna sandwich? Perhaps it is time to give this classic lunchbox staple an upgrade. You will be amazed how delicious and satisfying a tuna sandwich can be! Simply adding wholesome flavorful ingredients like fresh veggies and Jeff’s Naturals Imported Non-Pareil Capers, Roasted Bell Pepper Strips and Organic Sliced Greek Kalamata Olives can take an otherwise ordinary sandwich to a whole new level. Remove some of the soft interior of the rolls to allow for the sandwich filling and set aside. In a medium bowl, mix together the tuna with its oil, red wine vinegar, capers and onion. Set aside. 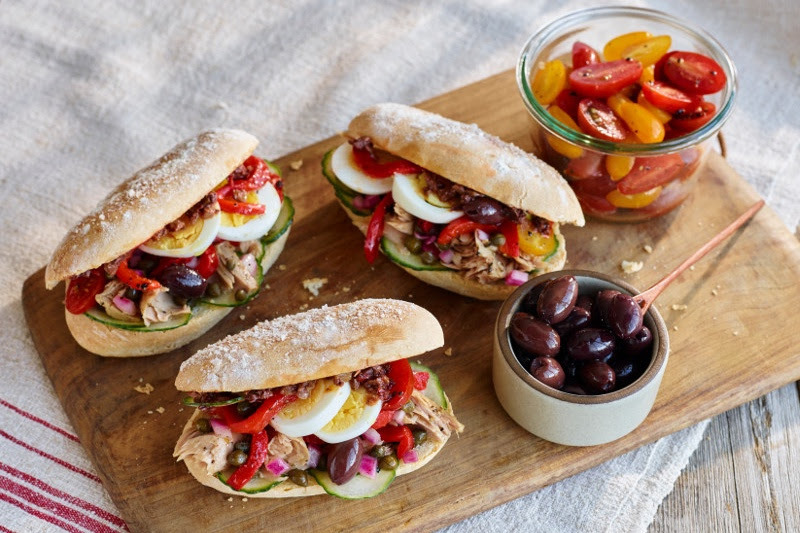 To assemble the sandwiches, spread the tuna on the roll, top with sliced cucumber, egg and roasted red peppers. Serve with cherry tomatoes and olives.